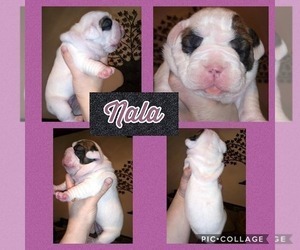 Items Included: Up to date on vaccines, dewormed x3, tails docked, declawed, IOEBA registered, puppy starter kit. 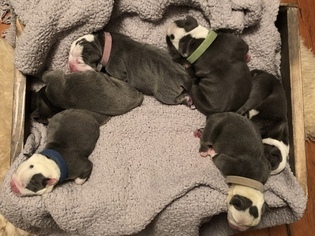 Potty training and crate training begin with our family at 5 weeks. 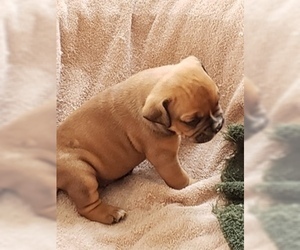 Overview: The Olde English Bulldogge is a new breed, which was developed in the 1970s by a man looking to breed a dog more like the original English Bulldogs. The result is a healthy and hardy pet. 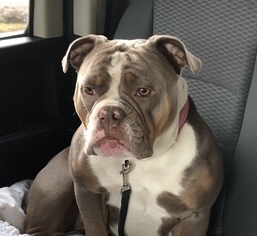 Character: The Olde English Bulldogge is sturdy, protective and loyal to family. 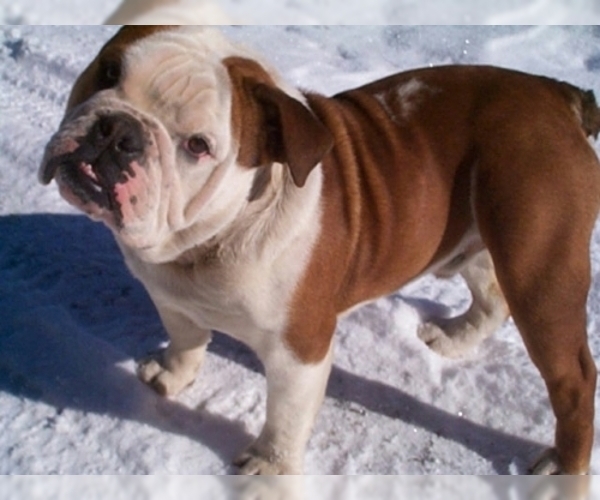 Temperament: The Olde English Bulldogge is friendly with children and family members, but doesn't like strangers. Care: This breed doesn't need much grooming, just an occasional bath when necessary. Activity: This breed needs regular light exercise.